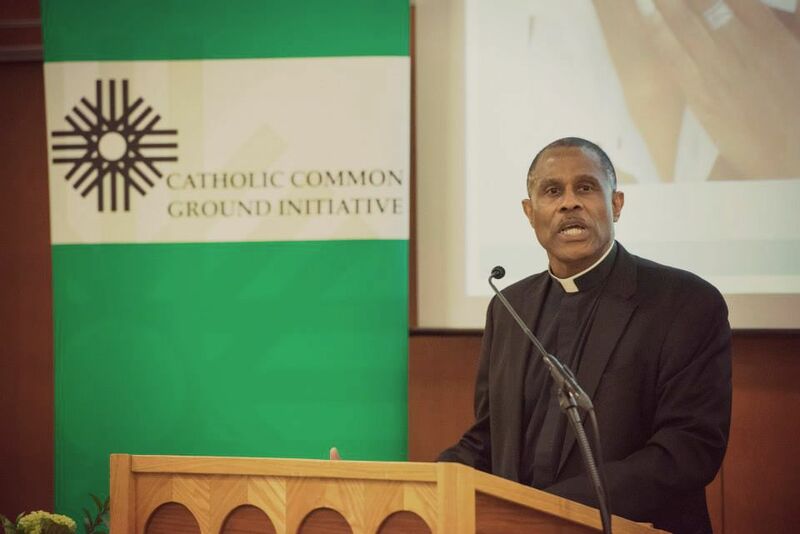 The Catholic Common Ground Initiative (CCGI), founded by the late Cardinal Bernardin, is a nation-wide project committed to facing difficult issues in the Church which create derision and polarization, lifting these issues up for dialogue. At our annual Murnion Lecture in June, Fr. Bryan Massingale challenged us to go beyond dialogue in his lecture Is Common Ground Possible in Pursuit of Racial Justice? The challenge gave us pause as an audience, especially for the CCGI Advisory Committee. How should CCGI, an initiative dedicated to dialogue, respond when confronted by this challenge? Fr. Bryan Massingale of Marquette University exposed the crisis of racism in our country and Church during his lecture on June 26th, 2015. He did this with a striking and painful litany of the African Americans who have died as a result of police violence. The long list of victims, Fr. Massingale explained, is a tragic sign of the times that the civil rights movement remains unfinished. Why does racism persist? Fr. Massingale synthesized four points that explain how racism continues to be perpetuated in the United States. First, he explained, there has never been a serious commitment to racial equality in our country. His second and third points emphasized the serious problem of white ambivalence and the lack of willingness to “pop the white bubble.” The fourth reason was psychological: sympathy can be racially selective. Given racism’s continued persistence and the reasons it still grips our society, Fr. Massingale outlined the Catholic Church’s response to racism, critiquing it as inadequate. Fr. Massingale elaborated that the Catholic approach to racism focuses too much on individual acts of malice instead of seeing racism as a communal ill. It responds to racism by promoting dialogue and education, but, it does not extend beyond dialogue and education to foster action. Further, he argued that the Church does not do enough to uphold African American agency and leadership, and, it still identifies itself as a white institution. Dr. Martin Luther King’s approach to racism stands in stark contrast to that of the Church’s, as Fr. Massingale pointed out. Dr. King imagined a beloved community whose goal is to complete the civil rights movement and exist in genuine equality. Dr. King described racism as a soul sickness, a spiritual crisis gripping our society. The soul of America is in desperate need of redemption which must be set into motion by widespread lament and conversion. What does this look like practically? Fr. Massingale evoked Dr. King’s wisdom that any call for social change incorporates conflict and struggle, emphasizing that, “we need to undertake practices of conflictual solidarity!” According to Fr. Massingale, for common ground to happen, we are required to move beyond dialogue and be willing to engage in active struggle. And so, how does CCGI address the questions brought to the forefront by Fr. Massingale? How do we as an initiative face Fr. Massingale’s challenge to “go beyond dialogue” and enter the struggle? Perhaps some history around CCGI and racial justice might help us to find a way forward. CCGI has a history of contending with the reality of racism within the Church. An example of this can be found in Called To Be Catholic, one CCGI’s founding documents which describes a list of urgent questions “that the church in the United States knows it must air openly and honestly but which it increasingly feels pressed to evade, or at best, address obliquely.” This critical list includes mention of African American communities and the Church’s need to embrace African American cultural and social concerns. In light of CCGI’s rich collection of resources that deal with racism, how might we respond to Fr. Massingale’s challenge to take racial justice concerns beyond dialogue? Perhaps our first step in embracing the challenge—as an initiative and as a Church—is to finally make racial justice a priority. How can we move beyond dialogue when an honest examination shows that we rarely talk about about racism? The urgent challenge to move beyond dialogue is an uncomfortable one. This call pushes us to ask ourselves how serious we are about equality. It snaps us into reality and hopefully prompts us to ask ourselves “where do we start? !” Bishop Braxton, in his Pastoral Letter, The Racial Divide in the United States, spells out concrete steps toward both dialogue and action. This letter is a prime example of where we might start. Let us do the dialogue, so that we can move beyond it towards active struggle for real racial equality. (1) Joseph Cardinal Bernardin, “Christ Lives in Me: A Pastoral Reflection on Jesus and His Meaning For the Christian Life, 1985” in Selected Works of Cardinal Bernardin: Homilies and Teaching Documents, ed. Alphonse P. Spilly (Collegeville, MN: Liturgical Press, 2000), 132. (2) Joseph Cardinal Bernardin, “Here and Now: Pastoral Statement on Youth, 1994” in Selected Works of Cardinal Bernardin: Homilies and Teaching Documents Alphonse P. Spilly (Collegeville, MN: Liturgical Press, 2000), 224. 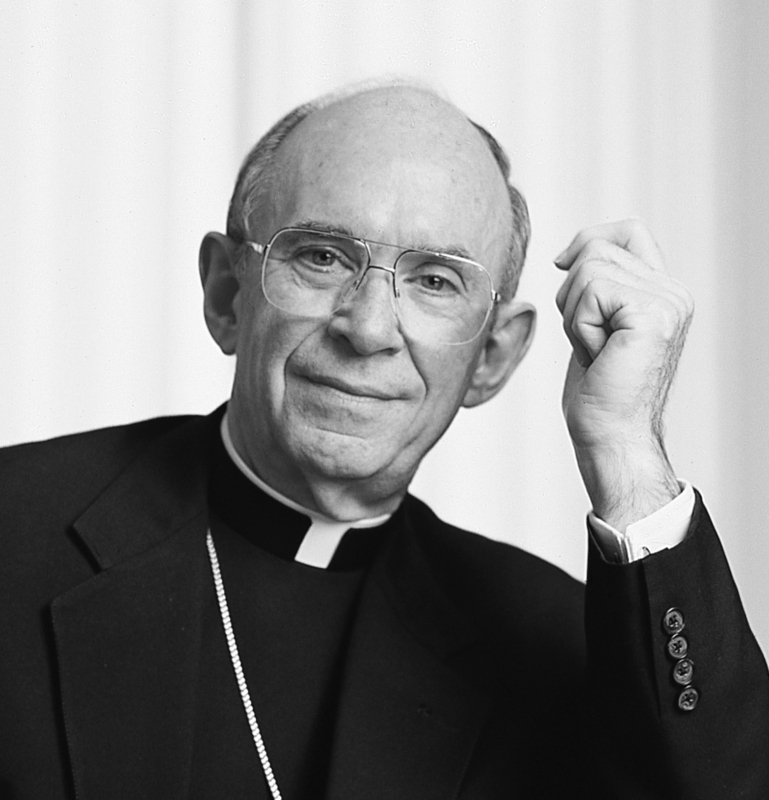 (3) Joseph Cardinal Bernardin, “Civic Unity in Chicago: Is it only a dream?” Hesburgh Forum Luncheon, Chicago, IL 1989, in Selected Works of Joseph Cardinal Bernardin: Church and Society Alphonse P. Spilly (Collegeville, MN: Liturgical Press, 2000), 651.